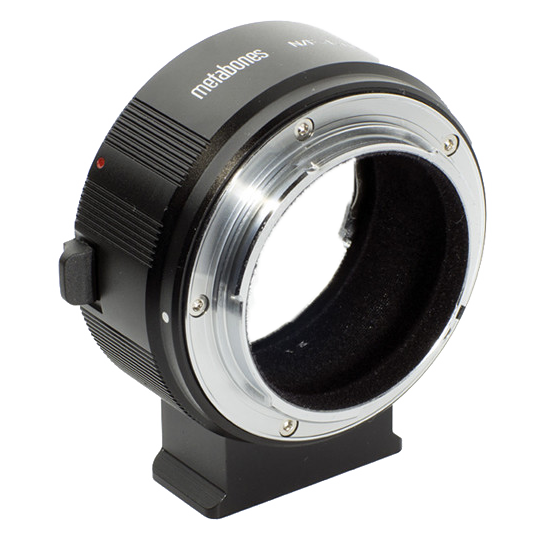 Mount your Nikon F lens to your Sony E-mount camera with this T Adapter II from Metabones. Precision-crafted from brass and given chromium plating, this adapter is designed for daily use and will guarantee infinity focus. 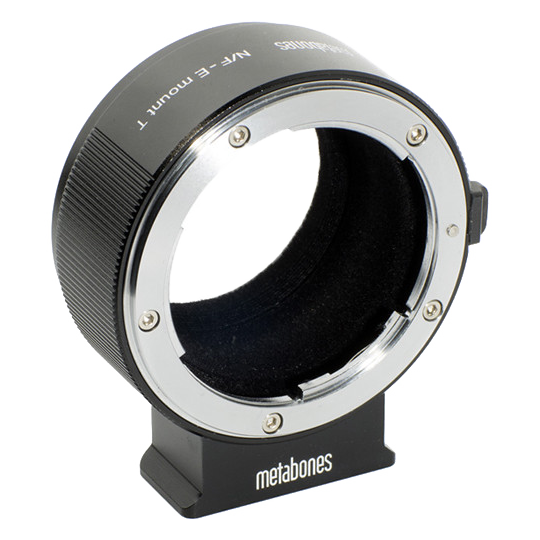 This model has a flocked interior that will limit flaring and ghosting from reflections inside the adapter, and a satin exterior finish matches that of most cameras for a unified appearance. Additionally, it has a detachable Arca-type compatible tripod foot for simple mounting to a variety of tripods.